On 11 September 2018, Time published an opinion piece penned by Enes Kanter, who is described as “an outspoken critic of Turkey’s authoritarian regime and a professional NBA basketball player.” Kanter has repeatedly admitted that he is a follower of US-based Turkish preacher Fetullah Gulen, who heads what Turkey calls the Fetullah Terror Organization (FETO), the shadowy cult behind a coup attempt on 15 July 2016 which claimed the lives of 248 innocent people. In his opinion piece, Kanter tried to present the organization as a peaceful movement which had nothing to do with the coup attempt and other criminal activities. Kanter also alleged there are people arrested in Turkey just because of having contact with him. None of these claims are accurate. Kanter denied that FETO was behind the coup attempt. Kanter stated that he was together with Fetullah Gulen during the night of the coup. He claimed that Gulen was “shocked” when he learned the coup attempt was underway. However, strong evidences indicate that Fetullah Gulen was far from being shocked about the coup attempt and on the contrary, he and his organization masterminded it. 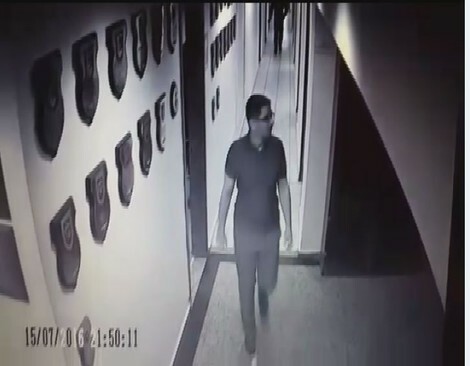 Kemal Batmaz and Adil Oksuz, two civilians believed to have directed soldiers on behalf of FETO, were caught by CCTV cameras at the 143rd Fleet of the Akinci Air Base, the command center of the putschist soldiers, on the night of 15 July 2016. Batmaz was caught by CCTV cameras at the Akıncı Air Base, the decision center of the coup, on the night of July 15. Adil Oksuz was an assistant professor of theology at Sakarya University and Kemal Batmaz was a former manager of the Kaynak Kagit Company which had publicly known ties with FETO. 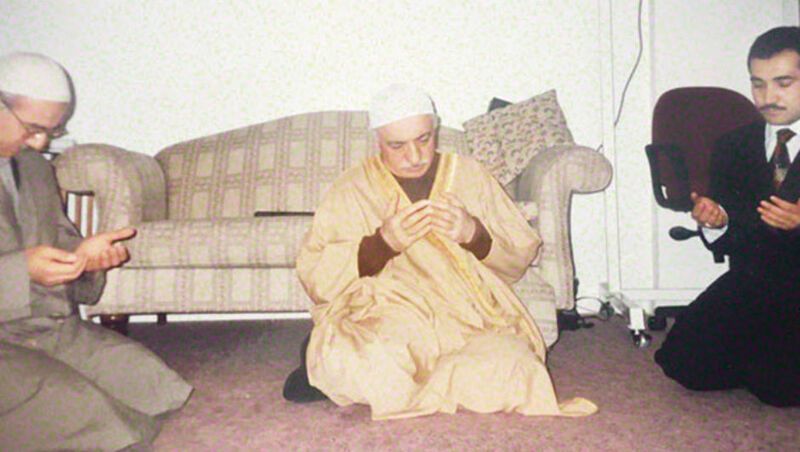 As for Adil Oksuz, he has pictures showing him kneeling before Fethullah Gulen in his mansion in Pennsylvania. It was revealed that Oksuz was one of the oldest followers of Fetullah Gulen and beside his job as scholar of theology, he had another secret mission for the organization: coordinating the members of FETO who could infiltrate in Turkish Air Force. Kemal Batmaz and Adil Oksuz traveled to the US between 11 and 13 July 2016 - two days before the coup - on the same plane. The indictment against Batmaz and Oksuz states that they took this trip to get the approval from their leader Fethullah Gulen regarding the final plans of the coup. The Gulenists signaled that they would try a military coup against Turkey’s democratically elected government. Osman Ozsoy, a Gulenist and an academic, spoke on a Gulen-affiliated channel one month before the coup attempt and said “I wish I was a colonel. I could serve this country more.” When the broadcaster asked what he meant, Ozsoy said everything should not be openly said on TV. “Do not overestimate the public support, announce that there will be a curfew tomorrow morning and look if there is anyone taking to streets,” he added. Enes Kanter himself registered more than 6,000 trademarks for his name two months before the coup attempt, raising suspicions that he knew about the coup attempt and had the expectations of further financial gains of advertisement if the Gulenist coup succeeded. To learn more about July 15 coup attempt and FETO, click here. Enes Kanter tried to depict a political situation of Turkey where anyone “perceived” as a Gulenist is being fired from public service. However, despite Kanter’s claim, there are solid criteria when accusing someone of being a Gulenist and the investigations are made accordingly. Beside this claim, Kanter also alleged that even the people having contact with him are being arrested. However, in each case he gave as an example, he failed to mention the content of these “contacts” or their criminal activities. In one case, Kanter stated that a comedian was arrested “after he exchanged a few tweets” with him. Actually, it was not exchanging tweets, but the private messages hacked by a Turkish hacker group in which the comedian Atalay Demirci asked money from Enes Kanter as a fellow Gulenist. In following messages, Demirci wrote he had to unfollow Enes Kanter “for being cautious” since Kanter is openly admitting that he is a Gulenist, so much that even stating he was ready to sacrifice his life for Fetullah Gulen.